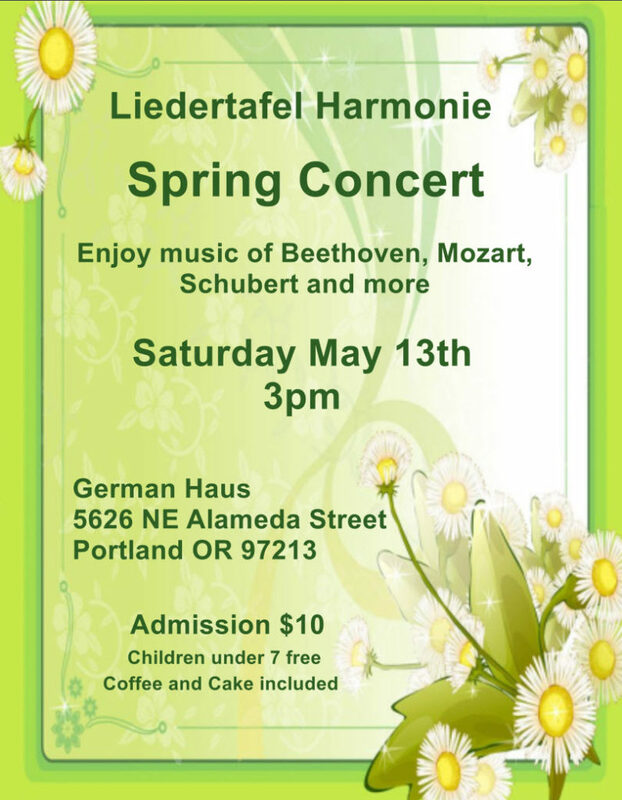 At 3pm on Saturday May 13th the ‘Liedertafel Harmonie’ will present their Spring 2017 Concert. Come and enjoy the beautiful music of Beethoven, Mozart, Schubert and more. Coffee and cake is included with your $10. admission (under age 7 – free). Bring family and friends for a musical treat to celebrate the Springtime in our City of Roses.